Over 2.7 million small and medium businesses in the U.S. do not offer health insurance. The reason, according to a recent survey by Kaiser Family Foundation, is cost. 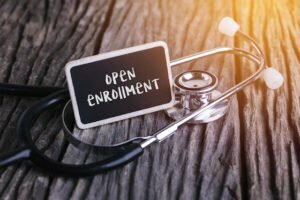 While employees won’t be able to enroll in health insurance plans until November comes along, small business owners don’t have to wait at all to secure health insurance for their employees. The sooner they act, the better, to guarantee that they and their employees are protected. According to recent studies, healthier employees are happier employees, and as a result, will contribute to a more productive workplace. And a more positive and constructive work environment is better for the client, their employees, and the business as a whole. Whether they’ve provided health insurance to their employees before, or are looking into doing so for the first time, it is always worthwhile to prioritize health insurance literacy. There is a host of terminology and acronyms, not to mention rules and regulations that can be overwhelming for them to wrap their head around. Thankfully, the internet is full of relevant information, ranging from articles to explainer videos, that can help them get up to speed in no time. 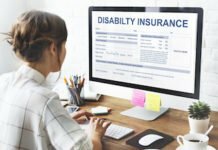 Having a good understanding of insurance concepts such as essential health benefits, employer contributions, out-of-pocket maximums, coinsurance, provider networks, co-pays, premiums, and deductibles is a necessary step to being better equipped to view and compare health plan options side-by-side. A thorough familiarization with health insurance practices and terms will allow them to make the most knowledgeable decisions for their employees and their business. Employees want to feel like their health is a priority, and are more likely to join a company and stay longer if their health care needs are being met. 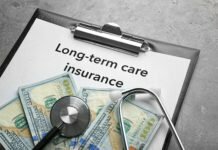 A current survey shows that 56% of Americans whose employers were sponsoring their health care considered whether or not they were happy with their benefits to be a significant factor in choosing to stay with a particular job. 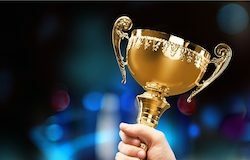 The Employee Benefit Research Institute released a survey in 2016 which showed a powerful connection between decent workplace health benefits and overall employee happiness and team spirit. Six in 10 employees who were pleased with their benefits were also pleased with their jobs. And only 8% of employees who were dissatisfied with their benefits were satisfied with their jobs. High insurance costs can be an obstacle for small business owners. A new survey suggests that 53% of American small business owners stress over the costs of providing health care to their employees. The 2017 eHealth report reveals that nearly 80% of small businesses owners are concerned about health insurance costs, and 62% would consider a 15% increase in premiums to make small group health insurance impossible to afford. However, there are resources in place to help reduce these costs, so they aren’t too much of a barrier. One helpful way to cut down on health insurance costs is to take advantage of potential tax breaks available to small business owners. All of the financial contributions that employers make to their employees’ premiums are tax-deductible, and employees’ financial contributions are made pre-tax, which will successfully decrease a small business’ payroll taxes. Additionally, if a small business consists of fewer than 25 employees, it may be eligible for tax credits if the average yearly income for its employees is below $53,000. 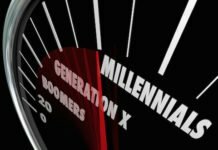 It is also beneficial to note that for small business owners, the biggest driver on insurance cost will be the type of plan chosen in addition to the average age of employees. The employees’ health is not a relevant factor. You don’t have to be an insurance industry expert to shop for medical plans. There are resources and tools available that can make buying medical plans simple and transparent. 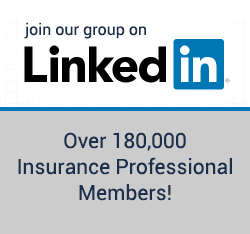 Insurance is a very complex industry that can easily be simplified with the use of the advanced technology and design of online marketplaces. These platforms are great tools for small business owners to compare prices and benefits of different plans side-by-side. Technological solutions such as digital marketplaces serve as useful tools to modernize the insurance shopping process and ensure that small businesses are covered without going over their budget. 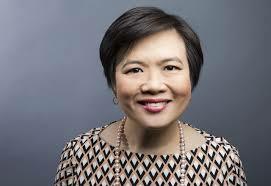 About Sally Poblete: Wellthie CEO Sally Poblete has been a leader and innovator in the health insurance industry for over 20 years. As a broker and former industry executive herself, she founded Wellthie out of a deep passion for making health insurance more simple and approachable for consumers and small businesses. She had a successful career leading product development at Anthem Blue Cross Blue Shield, one of the nation’s largest health insurance companies. Since its founding, Wellthie has received numerous recognitions as an innovator in the healthcare industry, including “Forbes 10 Healthcare Tech Disruptors to Watch,” “30 Health Tech Startups with the Potential to Change the World,” and “Top 40 Health Care Transformers.” Sally has presented at numerous conferences nationwide, including InsureTech Connect, the AHIP Institute & Expo, and the HITLab Innovator’s Summit. She is a frequent media contributor and has been featured in Forbes, Inc., The Huffington Post, and BuzzFeed.